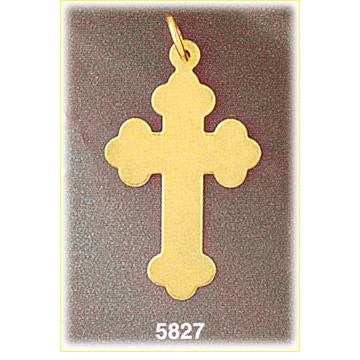 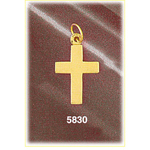 This 14k gold engravable traditional cross customizable pendant will inspire you. 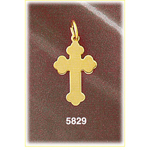 Elegant contours give this cross pendant it's intrigue and appeal accented by glistening polished gold just waiting for you to add the words that inspire you with an optional birthstone setting. 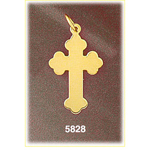 Pendant is crafted in 14k yellow gold featuring a polished finish with flat back, it measures approximately (20mm - 3/4") in width by (30mm - 1 1/8") in height and weighs 2.3 grams, it is recommended for necklaces.